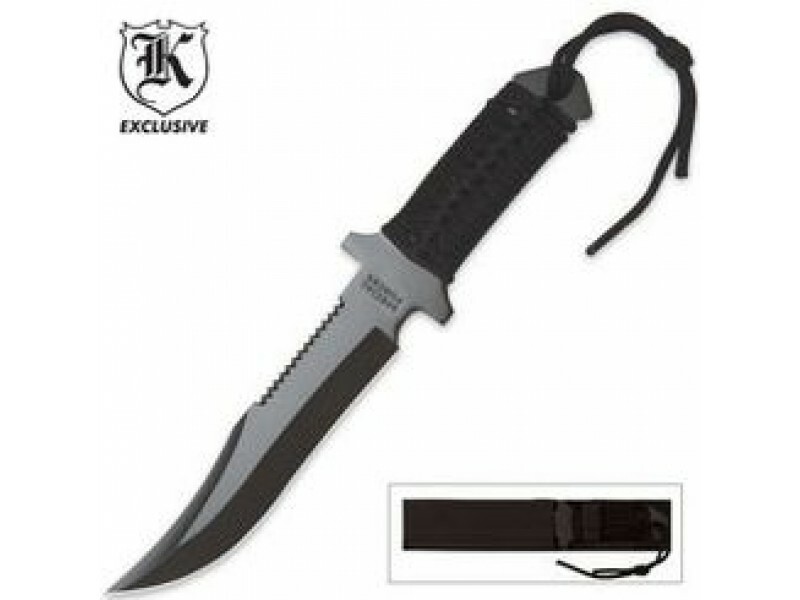 Buy Special Forces Assault Knife with sheath , from Budk - RBC VISA for $9.99 only in My e-commerce. 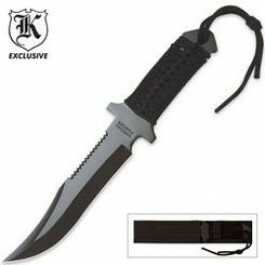 Surviving in the jungles is tough, but not quite as tough with this Special Forces Tactical Assault Knife. This 11 1/2" full tang knife features a sawback blade that is treated with a black anodized coating for corrosion resistance and a non-reflective appearance. A cord-wrapped grip makes it easy to hold and it slides easily into the heavy-duty nylon belt sheath. 7" blade.